If you missed Winchester Grange’s Music Night in May you missed one of the best programs in a long, long time. Congratulations to Mary Lou Keefe and Don Fancher for organizing such a wonderful night of entertainment. Several months ago, Mary Lou asked members to write down favorite songs or songs they would like to hear at the music night. The selections were varied and she worked hard to make sure most of the requests were met. We heard hymns and pieces by Billy Joel, John Lennon, J.S. Bach, Dolly Parton, the Pink Panther and even some original compositions. We thank Mary Sullivan, Judy Robinson, Pete Hurlbut, Jerry Alonzy, Mary Lou Keefe, Alexis LaMere, and Abigail Lang for sharing their musical talents with us. It was an enjoyable evening of music in Winchester Center. Don Fancher promises an even bigger and slightly different style of program next year. Join us! Looking into June, all hands on deck for the annual Father’s Day Strawberry Festival at the Grange Hall from 2:30 – 5:00 P.M. Come and enjoy the area’s largest servings of Strawberry Shortcake served on Grange-baked biscuits with fresh strawberries and Grange-whipped cream. You can also have sugar-free and take-out is available. 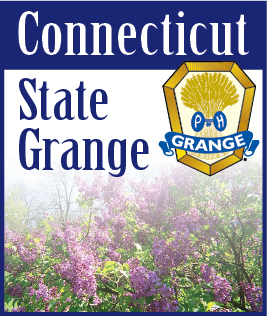 June 17: Strawberry Festival, Grange Hall, 2:30- 5:00 P.M.